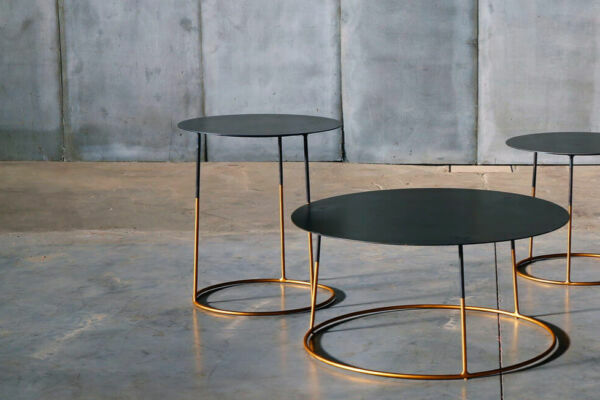 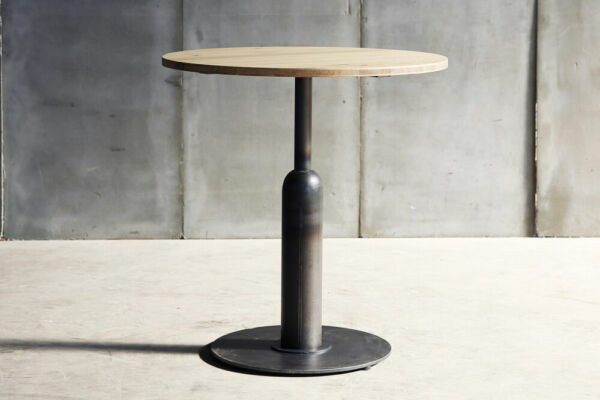 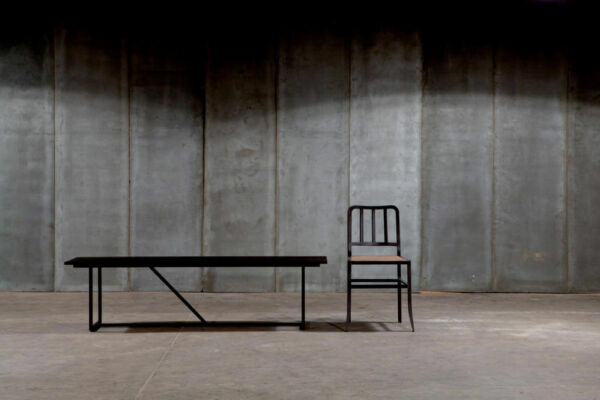 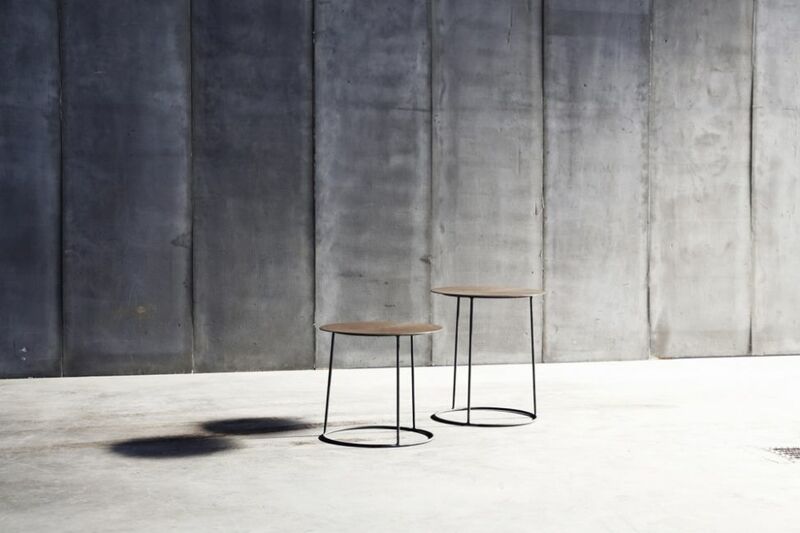 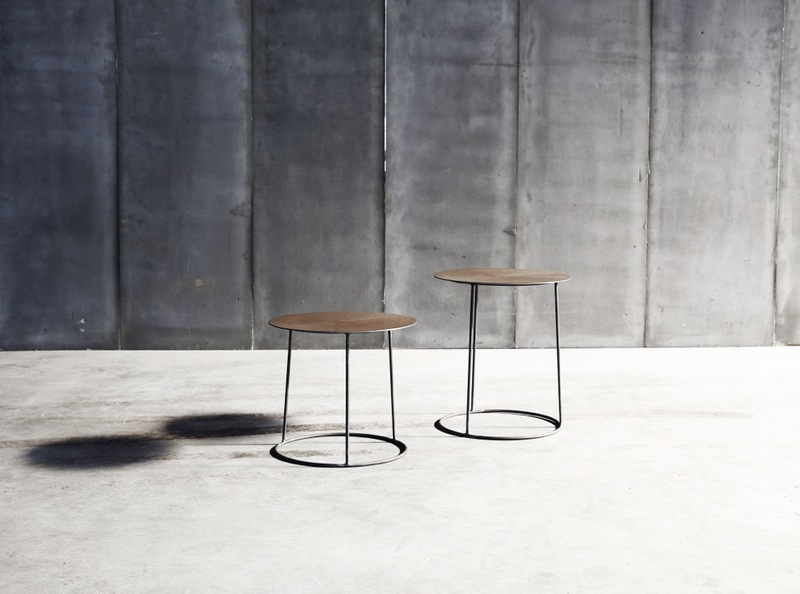 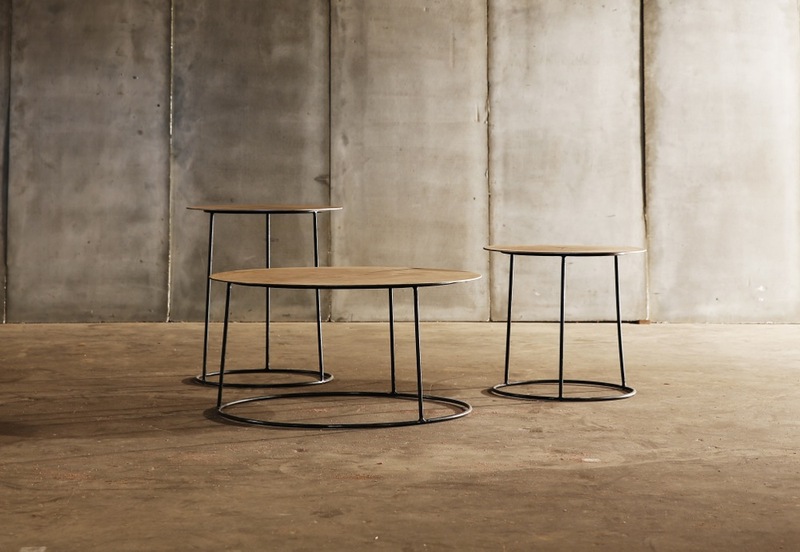 The Nimbus coffee tables have tops made from a thin piece of real oak, fixed to steel plate over a solid steel base. 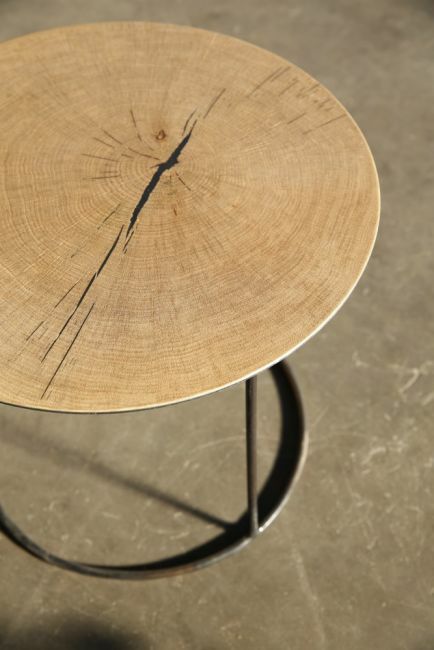 Each top is finished by hand; natural cracks in the oak are filled with black resin to accentuate them, so the unique patterns will differ from table to table. 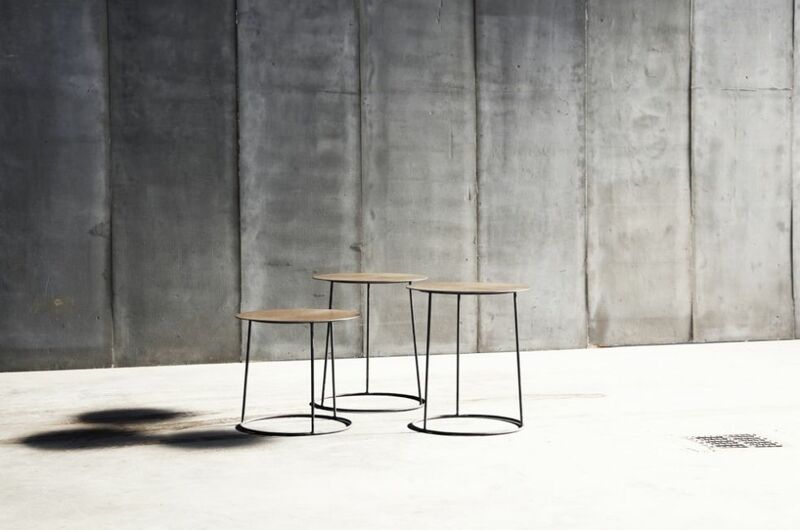 Oak tables by Heerenhuis are finished with three layers of invisible matt varnish and should be cleaned regularly with a damp cloth. 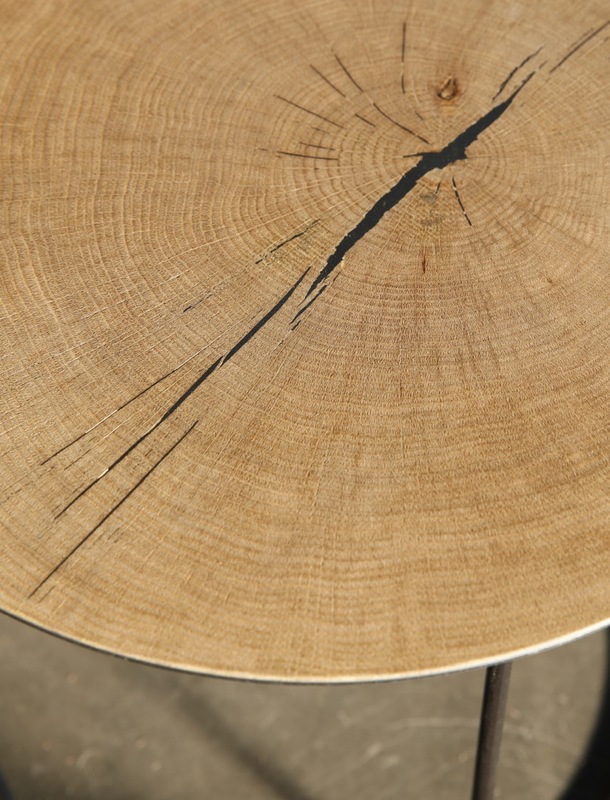 The varnish contains a UV filter which prevents any yellowing of the oak in sunlight. 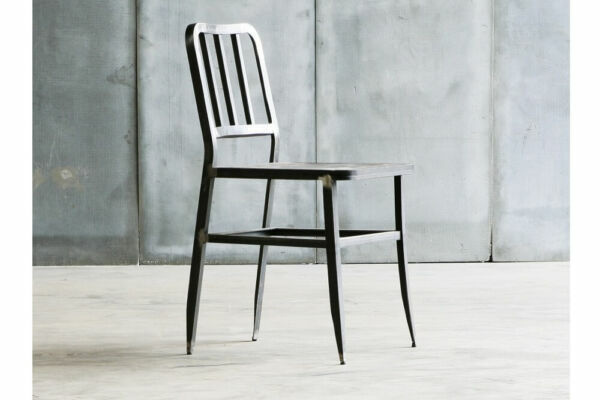 No need to oil or revarnish.